SkiGia is selling off stock at a pop up shop. 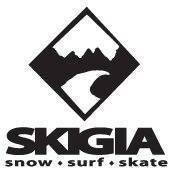 SKIGIA Pop Up Shop – Now Open! SKIGIA’s Pop Up Shop opens today at 12noon!! We’re clearing out the last of all our gear for one long weekend, why not come in and grab a bargain. Limited stock and sizes but it’s all super cheap, so don’t delay. Limited ex-rentals snow gear is for sale. All stock must go, priced to clear.